We have recently welcomed two new members of staff to our team. Sylwia Zawada and Emily Brind have been appointed to the positions of Trainee Mortgage Adviser and Assistant Management Accountant respectively. Having started her banking career in Poland, Sylwia moved to the UK 11 years ago and has been in her position with us since December 2018. “When I first came to the UK, I undertook various roles in the distribution sector, before deciding that I wanted to return to financial services,” she explains. Sylwia devoted her spare time to self-studying for the Certificate in Mortgage Advice and Practice, before securing her new role with esbs. “I was keen to join an organisation that shared similar values to myself,” she continues, “which is why esbs seemed like the right fit for me. “The Society is committed to always putting its members first, and plays an important role in serving the local community. “I am really enjoying working at esbs, especially as we are an incredibly friendly bunch!” she adds. Outside of work, Sylwia likes spending time with her family, as well as visiting new places both in the UK and abroad. With 10 years’ experience working for building societies, both within the spheres of finance and customer service, Emily joined the team in January 2019 in the role of Assistant Management Accountant. 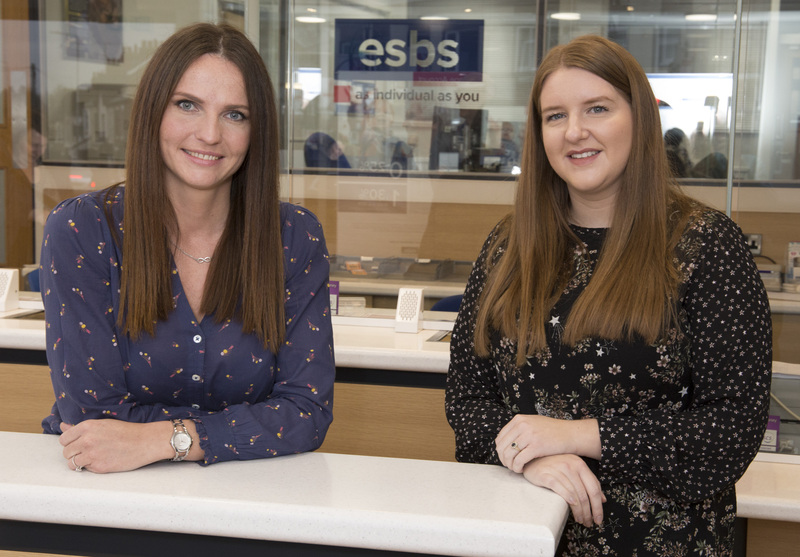 “Working with esbs appealed to me as it has given me the opportunity to work at a small, friendly building society in an exciting role that involves new challenges and plenty of variety,” she said. “As a new starter, I’ve received a really warm welcome from everyone across the Society. When she’s not working, Emily enjoys playing hockey at the weekends and is also a member of the National Trust. Paul Tilley, Chief Executive of esbs, said: “I would like to give Sylwia and Emily a very warm welcome to the team. “Both bring a vast range of skills and experience with them, and have made fantastic additions to the Society.